Our goal is to provide our knowledgeable plumbing services as well as amazing customer service with a smile. Locally owned and operated, we are driven by our customers’ needs and satisfaction. With very competitive and reasonable pricing, we aim to gain your business, giving you the peace of mind knowing that we are a company you can trust. We are professional, experienced and a name to remember. "Trust Your Friends When They Say... Call MY PLUMBER!" 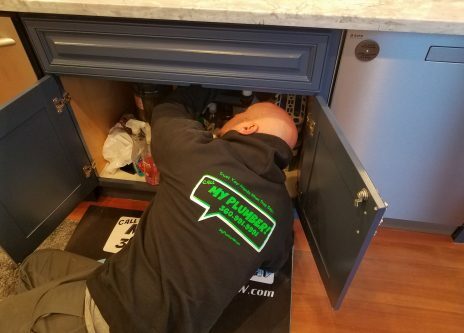 With over 22 years of experience, “My Plumber LLC” will make you feel at ease, knowing that you are getting a professional and experienced Journeyman Plumber, working on your home or business. Like any other trade, Plumbers are schooled and trained for years before being licensed. 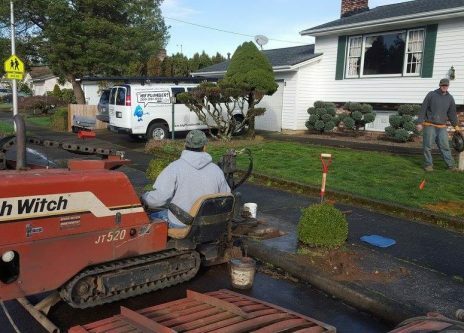 “My Plumber LLC” is licensed, insured and bonded both in Washington and Oregon states. I have several rentals and I have had Austin on my properties at least 10 times. Austin has taken 3 very challenging jobs that would have frustrated most, but he has such a wonderfully pleasant demeanor that nothing bothers him. Also Austin is very competitive with his pricing. I will continue to call My Plumber for all my plumbing needs. Austin is one of the best plumbers we have worked with. Everyone of our customers he has worked with always raves about his professionalism. My Plumber is honest and very competitive. We had to call My Plumber for some issues with our kitchen sink and they were so friendly and fixed everything in such a timely manner! I've never been treated so kindly by any other plumbing company. Definitely recommend and will be calling them for any more issues!